Wrinkle injections are a non-surgical way to help achieve a more youthful appearance. Your habitual facial expressions, as well as the adverse effects of the sun and pollution, naturally result in the formation of fine lines and wrinkles that tend to get worse with age. We are able to target any unwanted lines and wrinkles anywhere on your face and neck. Some of the most common areas we treat are laughter lines/crow’s feet, as well as sagging skin on the neck and lower jaw. We use a variety of the highest quality fillers to treat lines and wrinkles. Each treatment may vary from one person to another. 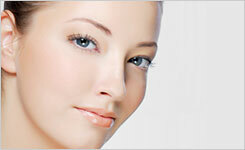 Arrange to book a consultation and take your first step towards wrinkle free skin. You’ll start with an in-depth consultation to help our doctors understand exactly what results you’re hoping to achieve. The treatment itself is safe and virtually pain-free, using fine needles to make small, precise injections directly into the target treatment area. You’ll be able to resume your everyday activities straight after the treatment, and you’ll see the results within three to seven days. We’ll invite you to a complimentary review two weeks later to check how you’re doing. The results of this treatment typically last for about four to six months, though it varies from one person to another. We recommend repeat treatments to achieve long-lasting results.